Now, admittedly, that’s a bit extreme too, but even looking back on it 7 months later, I couldn’t be happier with our choice! This article takes a look at where all the money goes for weddings, why people spend so much, how to spend less, and why we decided to skip it all. According to a survey of about 13,000 participants by The Knot, the average wedding in 2017 cost $33,391. They do these surveys each year with similar results, making the sample size over time pretty huge. The biggest expense by far is the venue, accounting for almost half the total price tag. The second or third biggest is the engagement ring, at $5.7k on average. Catering is another huge expense at $70/person, which depending on the size of the wedding is one of the biggest expenses. Then there’s the music, the ceremony, the florist, the cake, the photography, the dress, the multitude of other things, and all of it adds up to over $33k. Even all those paper invitations people send out total $408 on average. But geography plays a huge role too – the average wedding price ranges from $18k in Utah to almost $77k in Manhattan. As a caveat, I think the sampling bias of surveys like this is a bit skewed. The types of people that would fill out surveys like this, and that visit wedding websites the most, are likely people more interested than average in elaborate weddings. 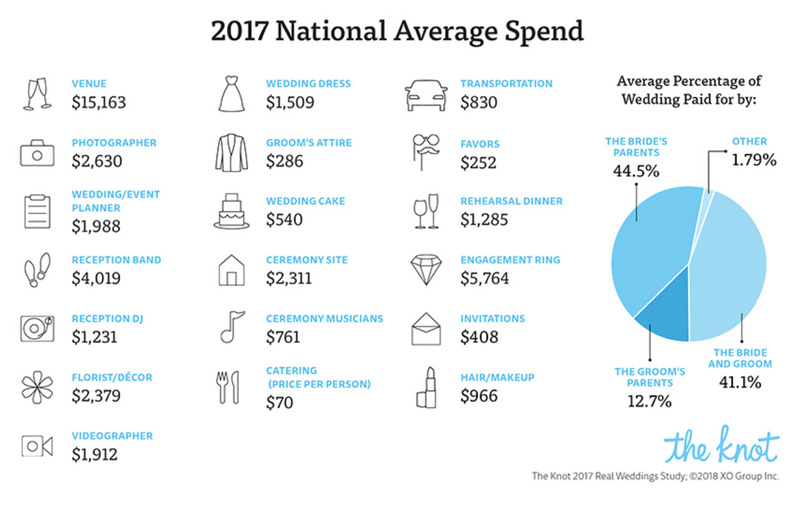 Based on another survey of over 10,000 participants in 2017 by CostofWedding.com, the average wedding was $25,764, and the median was a slightly tamer $15,000 or so. A third survey by Student Loan Hero placed the median at about $20,000. Regardless of which source is the most accurate, it’s all still rather high, considering that the median amount that families aged 35-54 have saved for retirement is only about $60,000. Why Do People Spend So Much? If people’s reasons for spending so much on weddings were purely for happiness, there’d be less to comment on. After all, who I am I to tell anyone else how to spend their money? Just because I’d rather stash more cash into my thrift savings plan or Roth IRA than spend on big things doesn’t mean everyone else has to. But it’s murkier than that. 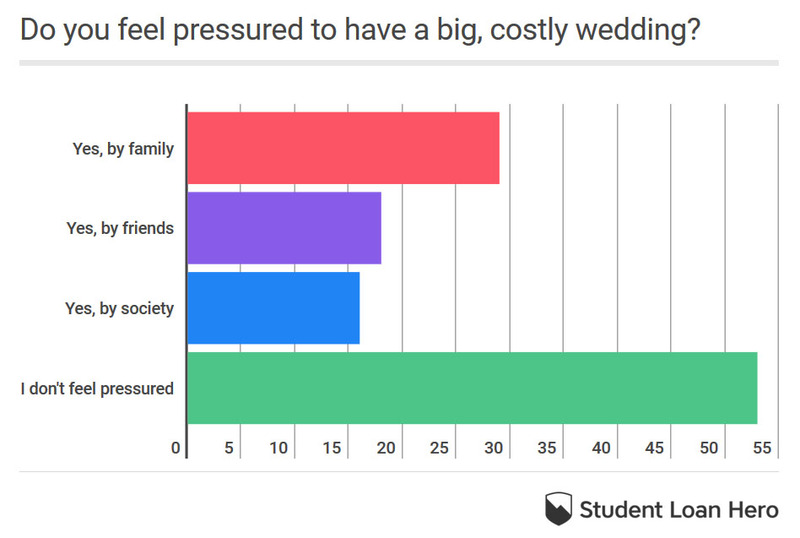 And 74% of respondents in that survey said they are going into debt to fund their upcoming wedding, with a whopping 61% of them saying they went into credit card debt for it. If someone sees a friend have a large wedding, it can feel inadequate to have a small wedding. Like it’s a direct comparison about how successful you are, or how big your set of friends and family is. It’s a status symbol. But the same thing goes for the cars we drive, the houses we buy, and the clothes we wear. It’s important to step back and make sure the things we buy are truly making us happy, and that we’re not just buying things to keep up appearances or stay competitive with peers. My husband and I spent a few hundred bucks on our wedding. We just hired a chaplain to marry us in an adorable little coffee shop, and then went out for a nice dinner together. We kept it a day just for us two to share. The two of us are located very far from both of our families, and our families are located very far from each other, so the traveling logistics of setting up a wedding would have been a nightmare. Moreover, our families are of two totally different religious and cultural backgrounds, with very different traditions, which would have made planning the ceremony and the reception complex. My husband comes from an Egyptian Muslim background, while my family is partially Catholic and partially New Age. But despite its simplicity, it was just as memorable as any wedding I could have imagined having. Our favorite love song happened to play on the coffee shop radio as we got married, and I may or may not have cried happily about that coincidence. Little details like that are what make a day memorable. We also skipped the engagement ring. My then-boyfriend and I were on a vacation in Hong Kong a few years ago, relaxing in our hotel bed looking over at the city’s beautiful skyline, and I casually asked if he wanted to marry me. No ring, no public display, and no concern about which gender is supposed to pop the question. And lastly, one of the biggest reasons for us skipping everything was to save planning time! The idea of planning for months for a single-day’s event was exhausting to think about. We decided to spend that time getting extra exercise, traveling, building our business, and more realistically, watching reruns of Friends on Netflix together. In the end, it does come down to personal taste. I don’t like wearing expensive jewelry, and neither of us were interested in being center-stage of a huge gathering. But in addition to fitting our tastes, we had to push back a bit at society’s expectations of how we should do it and how much we should spend. In making this choice, we now have more than $30,000 extra money stashed away in cash and investments than we would have had with a normal wedding. At $33,391, the average 6-hour wedding (ceremony + reception) comes out to $5,565 per hour. 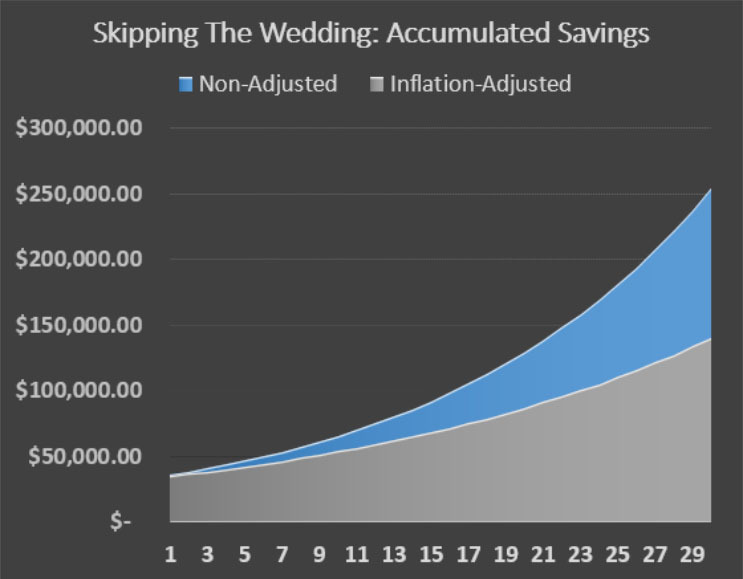 Put another way, if you had $33,391 at age 30 and instead of spending it on a wedding you stashed it away in index funds or dividend stocks for 30 years earning just 7% per year in total returns, you’d have over $250,000 by the end of that period. Alternatively, you could also use that $30,000 savings in other fun ways, say, by going on a $5,000 dream vacation every year for the next six years! Imagine all the stories and experiences you’d have at the end of those! But if you don’t want to go all-out and skip the wedding costs like we did, here are two high-impact ways to at least significantly trim them. There’s a lot of pressure on men to save up for months to buy their fiancée a diamond engagement ring. According to the American Gem Society, this tradition started in the 1400’s when Archduke Maximillian of Austria gave a diamond engagement ring to his fiancée, which started a trend among European aristocracy. It was only in the mid-1900s that the De Beers diamond mining company began advertising the concept heavily to middle-class Americans. They even specifically marketed the idea that a man should save up a month’s income for the diamond ring, and then later revised it to two months’ income – which they were happy to sell! So, it’s a rather recent tradition for everyday folks, and essentially built on a marketing campaign. But it’s also self-perpetuating, because now if a man doesn’t spend thousands of dollars on a ring, people think he’s some broke hipster. And if you’re a woman explaining to friends or family that you got engaged, but don’t have a ring (or at least one without a big diamond), you’ll get a field of skeptical looks. It’s important to remember though that if you don’t have the title “Archduke” in front of your name, it might not be the smartest move blowing through a month or two’s income as you’re starting your lives together. Really ask yourselves if it’s something the two of you truly want, or is it something you’re doing just because it’s expected of you? At about $15,000, the reception venue is usually the biggest wedding expense. And the cost of a wedding scales as you invite more people. More people means a bigger venue, more food, more flowers, more invitations, and more complex photography and videography. Keeping the guest list intimate – close family and best friends only – helps control costs. If you’re the ones spending money on it, you can make your special day as big or small as you want it. It’s for you, not for everyone else! A natural venue can help as well. Although there are downsides, having a beach wedding, a park wedding, or a backyard wedding can be beautiful ways to keep the cost down. Brides.com has a useful article on park weddings, including the pitfalls to avoid and details to be aware of. If you pull something like that off successfully, you can save a ton of cash while still having a beautiful time. You’re already paying the taxes for the park, so you might as well benefit from it! A wedding is a deeply personal thing, and colored by tradition. For some people, not having a large and expensive wedding would be unthinkable. And for them, the best thing they can do is budget for it ahead of time. But for a lot of people, perhaps even half, they feel pressured to have a big wedding, and even go into debt to finance it. It’s not necessarily that they specifically want a big wedding, it’s that they feel they should. The problem is that doing things the common way leads to the common outcome. Most people with middle-class incomes have low net worth, too much debt, and are not on track for retirement. 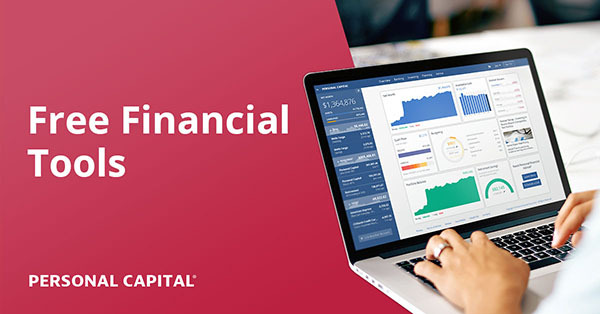 The whole personal finance blogosphere is meant to help us re-examine everything, to take a step back and figure out where we actually should spend money and where we can save a ton. That way, we can maximize our happiness but still have rock-solid finances. I like spending money on travel, healthy food, decent clothes, and various hobbies, but not a ton else. Big events and jewelry, not so much. The best thing we can do for our finances, I think, is separate what makes us happy from what is common or expected, and make sure we spend mostly on the first category. EDITOR’S NOTE: If you’re already married reading this, how much did you end up spending on your wedding? Were you happy you did, or would you have done things differently? Thanks for the insightful article, Lyn! And for not bashing those who DO love a big fancy wedding! Lyn works in engineering management, running the day-to-day operations and finances of an engineering facility. On the side she does website development and freelance writing, and creates in-depth guides on financial topics at LynAlden.com. You can also see Lyn’s first featured guest post – and quite the juicy one! – here: What Being Homeless Taught Me About Money and Happiness. We eloped two weeks after buying a new home. Not planned, the sale just came through at that time. And I think our wedding cost less than the moving costs! No engagement ring either (not a part of our culture). Like the author, we didn’t want to put the time and energy and money into a big international wedding with family and languages stretching over three continents. Less than moving costs – hah! Yeah that can always be a risk but overall a pricing one with good reviews has a lower chance of messing up or being difficult to work with. Photography isn’t the biggest expense by a long shot, so that’s definitely an area worth investing in imo. Or people can have backups. When I went to my first wedding for a family member as a kid, I was given a camera and told to try to film it. So they had the “real” photographer doing it properly and then a kid walking around doing the struggle photography. We had an inexpensive traditional wedding. The venue was our church, which covered the reception as well.The dress was rented. The flowers were minimal. No music at the reception, it was for visiting with cake and icecream. Professional photographer. Both rings together were about a month’s income. You don’t have to spend a lot to have a beautiful wedding. Beautiful setting, spending money on the high-importance things like photographers, sounds like a good plan. Another alternative for the engagement ring is to get a sterling silver band with an inexpensive stone (lab diamond or other gemstone – which btw is WAY more ethical; don’t Google “diamond miner conditions” unless you want to cry). That way you have something to wave to friends, but it’s inexpensive and you won’t worry as much about losing it. That said, I DID have a $30k wedding – with most of that money on honeymoon and food – and it was the right choice for us. We had the money in the bank with enough left over for emergencies, no debt, and lots in retirement. So as the author said, it can be a reasonable choice if it’s something that makes one happy and it’s a good financial choice. That’s actually one reason I didn’t want an expensive ring- I didn’t want to worry about losing it! That’s my philosophy with cars, jewelry, etc- I only buy ones that I wouldn’t lose sleep over if the were lost/damaged, so I don’t feel stress tied to any particular item. Most of the wedding estimates in the article include everything except the honeymoon. So if the average is $33k and then the honeymoon is another $5k or more, that’s up to $38k or more total. I think a fancy honeymoon is totally worth it. My husband and I have paid considerably for nice trips abroad. Spending thousands of dollars for a wonderful week or two makes a lot more sense to me, personally, than spending so much for one day’s party. I think we spent about $8,000 (12 years ago) not counting rings. We hired someone we knew as the photographer, had no DJ, and my wife found some good deals on things like flowers and a cake. The biggest thing was my wife found a country club that would give us banquet pricing for the reception, which was about 20% of the cost of the wedding packages at all of the other venues. $8k is totally reasonable, and it’s still around $9k in today’s dollars. That’s a great balance point in my opinion. Still a nice venue and the traditional event, but without breaking the bank or using years’ worth of savings. One week long wedding party in the mountains of Tennessee for 45 people (20 or so whom stayed at the cabin with us the whole time) was just a smidge over 10k. Totally worth it, it was like taking our friends and family on a dream vacation and also getting married. A full week? That’s totally worth it. We got married August 11th and I would not change a thing! We personally spent approximately $4000 out of pocket for about 120 people (mostly my husband’s family). I was able to live with my husband’s parents after the lease on my apartment ran out for about 6 weeks and they wouldn’t take any money for rent so we were able to cash flow most of it and used a little bit from savings. It was important to us to have a fairly traditional wedding, and he is an only child so I know his mom would have been really disappointed if we’d eloped (though the idea was tossed around a few times in the 4 months we were planning). Catering: This was a gift from his aunts so I don’t know the exactly cost, but we used a small family catering business and based on the prices on their website it was probably about $20/per person. She also bought the cups and plates. Saving so much on the venue, enough for 120 people, made a huge difference there. I bet even for people who don’t have a family farm, renting a family farm would save a ton of money compared to other kinds of venues. Gosh I hope DJs aren’t reading this, lol. We eloped to HI way back in 1991. The wedding, complete with photographer, cake, champagne, limo to and from, etc. in a park was $800 I think, and the entire week we spent in the islands cost about $4000. My wife’s engagement ring was less than $500 – from noted high-end jeweler JC Penney – and think our wedding bands were only a couple of hundred bucks combined. Even with inflation that $4k would only be about $7.5k today. Good deal! A week at Hawaii, simple rings, cake, champagne, and a park wedding sounds perfect. Every time I look at our china cabinet full of good china and all the accessories I am reminded that the stuff sits in the cabinet other than maybe 2 times a year for holidays! We definitely would change that and had family just provide cash instead! I suspect for most people that’s the optimal point of happiness- not skipping the wedding/reception entirely, but keeping it small and not breaking the bank or adding debt with it. Everyone there is having a blast! And the part about you husband losing his ring- yeah I’d be terrified of that if it was worth several thousand dollars. Keeping it in the hundreds feels so much better; it’s great not to have anything that I would freak out for if I lost. Hubby and I will celebrate thirty years of wedded bliss next week and our wedding was wonderful and quite thrifty. We are both quiet people who abhor being in the limelight and a traditional big wedding was our idea of a nightmare. We went first to the Justice of the Peace alone and were married wearing our normal, but dressy, clothes. Then we went to a favorite park and sat in a gazebo and read vows that we had written to each other. Hubby took several photos of us using a tripod that are as lovely as anyone’s wedding photos could be. After that we had a fancy lunch in an upscale restaurant and shared a decadent piece of cheesecake and called it our “wedding cake”. We share a piece of cheesecake on our anniversary each year. We sent out announcements after our Caribbean honeymoon and only a few people expressed dismay that we had a wedding they were not invited to. It helped that no one was invited to our wedding and people that knew us well weren’t not all that surprised that we avoided the fuss. We regret nothing and we had the most personal and appropriate (for us) wedding that was possible. Oh that sounds perfect, including the Caribbean honeymoon. There’s a huge difference between, “we had a wedding but you weren’t invited” and “we had no wedding, so no one was invited”. Some people might be disappointed but nobody would freak out or feel left out. We originally looked into getting married by a judge but it seemed complicated around here so we had a chaplain do it. Would have been happy either way! I love your touch of the vows in the gazebo, so romantic! lol. I got married by proxy so in a nutshell I didn’t even show up to my own wedding. I had to pay the notary $200 to certify the documents. Not a fan of rings so I don’t wear one. This was not taken easy by my parents so my dad gave his engagement ring to my now wife. We have been married for fourteen years. Not gonna lie I had to google proxy marriage to see how that works. Was it due to military service or something like that? Yes having the family farm was a huge help! Everyone said how beautiful it all was. For those who don’t have a family farm, renting one or using a park are good alternates. We were concerned about rain, or it being too hot but we had the tent as a backup and thankfully the day turned out beautiful! And yes I know some people probably can’t imagine a wedding without a DJ but it wasn’t a huge priority for us and it worked out just fine. It’s about the marriage, not the party. Family farms seem like a great way to go. More private than a park, but surely not too expensive in most cases if you need to rent one. This was a great article! Thanks for giving an alternative perspective. I met with a female financial planner last year and they asked me what I thought about marriage which surprised me. I told her “I guess I am pro marriage, but being single I’m not really thinking about it.” Her recommendation was to start a savings account for my wedding now since they are so “expensive, $20,000 to $30,000 at least”. I was so surprised. 1. I wonder if they were recommending single guys start a savings account for their wedding. 2. It was apparently a foregone conclusion that I would want to spend a lot on an “expensive” wedding. 3. I may or may not get married in the future. Why was she putting that expectation on me? I already have the rest of society for that. 4. After talking about my goals of paying off my mortgage, becoming financially independent and retiring early, why not focus my savings on those goals. But apparently their take away was that clearly I just want to have a lavish wedding. Let’s just say, I did not continue working with this financial planner or their company. Yeah, the stereotype is that women are the ones that want a big wedding. I would guess that it’s statistically true that more women want big weddings than men, but for someone to just assume that since you’re a woman you’ll default to a big wedding without asking is silly of the financial planner. In The Knot survey above, it shows that 44% of a typical wedding is paid by the bride’s parents, 41% is paid by the bride and groom, and less than 13% is paid for by the groom’s parents. It’s interesting that on average the bride’s parents pay more than 3x as much as the groom’s parents. So our wedding’s actual cost was less than $1500 (excluding ring). We did it at the church we were attending, both wedding and reception. No alcohol or DJ. For me it was perfect. 12.5 years later, I think my wife still dreams of that $40k wedding but I know her, she would have regretted the aftermath. Her ring was ~$4500 but I saved and paid cash for it (I’ve always been a natural saver). We were young, I was 24 and still very much entry level ($35K/yr) so the ring was a big deal at that time. Another catalyst for us not going all in on the wedding was that her parents provided approximately $0 dollars toward the weeding (I’m not bitter…). My dad did the traditional thing and paid for our honeymoon which was a multi island trip to Hawaii,and an experience I’ll remember forever. It seems like combined ceremony/receptions at a church aren’t that expensive. A few commenters here have mentioned that so far. That’s definitely up there with parks, family farms, and other money-saving venues that are beautiful. We looked at the courthouse approach first, but it seemed a little complex around here so we paid a chaplain instead. Either way it was the same kind of minimalist approach. Saving the money for a nice trip is totally something I can get behind. I think fun, long trips are a great use of money when budgeted for. We married in a small Vegas chapel, all inclusive style. The chapel charged $200 for the ceremony, video, flowers, photos and round trip limo transportation. We paid an extra $125 to have all of the photos released because they were really nice. Add in an additional $100 in tips, our total was $525. I paid more for a bridesmaid dress in the past. Afterwards, our guests treated us to dinner. Our “honeymoon” was almost free as we had a complimentary hotel suite and additional hotel credit for dining. We love Vegas and wouldn’t have done it any other way! My husband and I just celebrated our one year anniversary in mid-September. We both had the idea to spend less on our wedding than our other friends though my husband felt the pull to spend more, in order to “keep up” with his college friends who recently spent a considerable amount on their weddings. Our budget first was $5000. And then $3000 when we started doing the math. I quickley became a money spending grump. My husband planned most of the wedding (he has an event planning background). I was baffled at how much invites cost! I suggested a potluck wedding and BYOC (bring your own chair) after further looking into cost of food and rentals. It didnt go over well with my husband not my father who rolled their eyes at me. We were incredibly lucky to have our wedding at my parents house in a barn next to an apple orchard for free. We and the bridle party (the only “help” we had…) camped for 3 days under apple trees and drank a lot of beer. We invited 120 people and had 115 in attendance. Food cost the most at $1200 (tacos catered by a friends local Mexican food restraunt). We ended up spending $3900. We received $4000 in wedding gift cash for our honeymoon and spent a month bike touring around Europe in May this year. Thank you J Money for sharing this! I’ve already forwarded it to my husband and everyone else who has yet to be married (and a few that already are!)! Oh what joy it is to save money!!! Yeah that’s an awesome deal. If I ever write about saving money on weddings again, I would definitely mention the family farm idea, even if it means renting one. Seems like a consistent theme so far in the comments that it works out well. The month in Europe sounds so fun. I haven’t been to Europe yet but it’s on my list for a few years away. I’m glad you forwarded it to friends yet to be married. Hopefully if there’s any of them that felt pressured for a bigger wedding, this will alleviate some of it. We saved a bunch of money by having our wedding on a Friday in February (2/29/08). I guess since then, Fridays have become more popular and prices are increasing. We saved some money on my wedding band ($80). When we were looking at bands I pointed to two I liked, and they ended up being the exact same band in two places in the display case. However, a couple years ago I stopped wearing it and got the wedding band tattoo I wanted in the first place. Having weddings out of season or on unusual days can save a ton of money for sure. An old college friend of mine became a town judge (in the teeniest little town imaginable, but still! ), and I said to my pre-husband “hey, if we ever decide to get married, we should ask her if she’d marry us,” he said okay, let’s do it, so I called her and we arranged to spend a weekend on her farm. My son and her husband were the witnesses – no other guests. We were married at sunrise (Husband and I are both early morning people, and fortunately, so is my friend! ), so we had some sleepy witnesses! Really, the only actual expenses we had were our wedding bands and a bottle of champagne (that’s right – champagne at 6 in the morning!) No engagement ring, though Husband did surprise me with a (small) solitaire on our tenth anniversary. 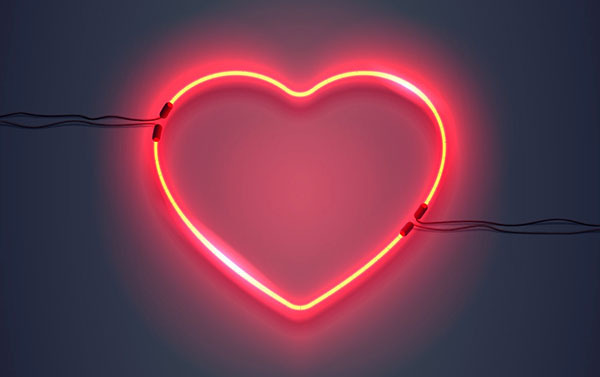 No real honeymoon – I had a teenager at the time, and even since then, we’ve just never had the opportunity to get away for any amount of time, between our jobs and our needy dogs. Maybe for our 15th anniversary . . . or our 20th . . . Sounds like a great deal. If I ever write about weddings again, I would definitely mention the family farm option, even if it means renting one. So far that’s been one of the most positively-described venues. As an aside, I knew a couple that were married for 30 years and never traveled. He had a business, and they had dogs. So year after year, it just never happened. Eventually, they did finally go to Disney World once with their kids and grandkids. I’m glad they did that; it’s the one trip they did. A few years ago, the husband passed away. This year, the wife was telling me that she wished they had traveled more, that it’s amazing to think in over three decades they barely went anywhere. Not everyone enjoys traveling, but nowadays she travels a lot more. It reminded me to do things we plan to do sooner rather than later, because it’s amazing how fast time can slip by. Our wedding was less than $600. A small courthouse wedding with our immediate family (about 10 people) and then a nice restaurant after. After dinner everyone came back to our house to open a few presents. Both sets of parents gave us $5k which was extremely generous and they were all happy for us to do whatever we want with it. This was in 2016 and we have no regrets. We pay for everything in cash and didn’t want/need an expensive wedding. A year later we had a baby and paid for our dream house in cash. Worth it. My husband and I eloped two years ago for about $300. I saw Paris, TX along the route of a planned road trip so we researched the requirements and made our plans in secret a couple months ahead of the drive. We did not get publicly engaged for maximum surprise. Rings came from Amazon, my dress was 90% off and the majority of our costs were administrative – marriage license, the judge’s fee and a premarital education seminar that allowed us to bypass TX’s 72-hour waiting period. We capped things off by mailing announcements from the Paris post office and continued on our way, overnighting in Oklahoma. The idea of upgrading is smart. Major parties and jewelry for younger couples is hard, but over time, people with good money habits build a lot of wealth, and anniversaries provide opportunities to do things you didn’t do on your wedding day. Better jewelry, nicer trips, without breaking the bank. My wife and I were married 8 years ago. Our wedding was $10,000 total – we paid $5,000 ourselves. 65 guests of our family and closest friends. No bridal party – just our MoH and BM up there with us. We saved a ton on the dress because my wife ordered it directly from China for less than $100; before it was marked up at a bridal store. She made some alterations herself as well using a local seamstress. Her engagement ring was bought at Costco total about $1800, my wedding band was $260. We ordered bulk flowers from Costco and they were gorgeous, we made the bouquets and table settings ourselves. They held up really well too, lasted more than a week after the wedding. We bought all of the alcohol wholesale and just paid for a bartender to pour drinks. The venue was a local bed and breakfast that is a gorgeous stone “mansion” that was built in 1775. Our honeymoon was a Carnival cruise to the Caribbean. As a couple of 22 year olds, it was our first adventure really out on our own. We had a great time for a reasonable price. FUN!! Is the B&B still around?? Love visiting and researching old homes around the country. That’s interesting, I wonder what the $100 dress would have cost once it was marked up at the bridal store. Do you know? Ok – I confirmed with my wife. She said she bought it for $200 but saw very similar dresses at David’s Bridal with very slight alterations for $1000+. She bought it off Ebay. So basically 80% off? Awesome! My husband and I got a lot of pressure to have a big church wedding and bigger reception. This was unappealing to us for many reasons, including that we weren’t remotely religious, we would be planning (with lots of “helpful” suggestions) and paying for all of it, and perhaps most importantly we hate big, fancy parties. It all sounded like a good way to ruin what should be a special moment for us. The breakdown, approximately – my engagement ring was $1250; my wedding ring – $200; his wedding ring – $600; marriage license – $35; judge’s fee – $30. We got married first thing in the morning in the courtroom before traffic court (this detail always makes us giggle), then had a leisurely lunch at a local restaurant before visiting a few family members to let them know the deed was done. Getting married cost us about $2100, not including lunch. We went back and forth a bit about whether rings were really necessary before deciding it was a symbol we could appreciate. Then we went back and forth over whether we needed expensive rings before deciding that something we intended to wear all day every day for the rest of our lives should be the best quality we could stomach spending on. Ten years later… zero regrets. Some people really want the big wedding, and I wish them the happy day they dream of, but for those like me, I don’t hesitate to tell my story and encourage them to do it their way regardless of how unromantic other people might think it is. Yep, it’s easy for other people to pressure other couples into large weddings but they’re not the ones paying for it. Every couple has to make their own choice about what kind of wedding they want for themselves. Including our rings, we paid $1500 to get married. Without the rings, our ceremony cost less than $1000. We spent our extra money on a better honeymoon. And, we didn’t enter marriage in debt. It’s great to see others with similar desires. Better honeymoon and no debt? Sounds like a good call to me. We spent about 32k total on our wedding, with about half of it being financed by my parents. If I could do it all again, I would have skipped the dinner and just had appetizers for folks, spent less on liquor (we had a LOT leftover), and stayed local with our venue — we traveled back to our hometown which meant that we paid for flights there on TOP of the honeymoon, plus more folks showed up — which in turn meant a larger venue, etc. At least liquor keeps for a long time, so likely not a waste! Traditions can be fun, but when someone pushes them too much despite not being a good fit, that can get annoying. It’s good to be able to pick and choose some traditions to keep, and others to skip. Then we said “F*** it” and decided to get married on a beach in Mexico, and told those that wanted to come that they could as long as they paid their own way. I’m 42 and still waiting to find the man of my dreams. I used to go back and forth about whether I wanted a big wedding or not. I’ve decided to have an extremely small, inexpensive wedding. BUT a LONG, EXPENSIVE honeymoon. I want to be gone for at least a month if not longer! A month-long honeymoon sounds wonderful. I would pick a big expensive long honeymoon over a big expensive wedding, personally. For all of the political weirdness of the State of Kansas, the state still allows a rather relaxed version of common law marriage. You basically just have to agree that you’re married, so my husband and I agreed that we were married over $8 of Panda Express one fine Wednesday noon in June. Our parents still wanted something traditional to mark the occasion, so they funded a reception a few months later probably in the $5k-$6k range. It was quite nice, and I appreciated their generosity, but I would have been just as happy and just as married with the $8 version. We ended up taking our honeymoon over our 2nd anniversary after we had paid off debt and saved up for 3 weeks in Europe. Rings: I dislike wearing metal rings and my husband is a handyman, so traditional rings don’t make sense for us. We both wear silicone rings we purchased for a grand total of less than $20 off Amazon. This is awesome. I just googled “worlds longest honeymoon” and there is a couple who left for their honeymoon over 6 years ago and are still travelling non stop. Their website is honeytrek.com. How cool is that?? WOWWW!!!! Talk about a match made in heaven – that takes commitment on both sides to live that type of life. Good for them! People who save up enough money to become financially free, or have a mobile income stream, could conceivably go on a honeymoon for their whole lives, just traveling around the world. Not married yet but our date is set for Nov 1, 2019. I’d like to think we’re on the fairly affordable side….about $6500 (reception, ceremony, cake, and two nights stay at the resort included) with open bar for 50 people. The ring was $2300 and I still have yet to get a photographer, wedding dress, and tux (hoping to bring that all together for about $2000). We’re lucky enough to have the house paid off, that helps things incredibly. I also save about $20k out of my $45k salary (soon to change as student loans payments start though, ahh!). If we didn’t have the house paid off, it would absolutely prompt me to have a backyard wedding with a much shorter guest list. My sister is getting married in a few weeks, Dec 1, 2018, and she’s well over $20k already! Although she does have 120 people coming. I couldn’t imagine having that many people at my wedding, I am much more for the smaller more intimate wedding! Way below the average price. This is some great advice! I’ve been with my boyfriend for 5 years, so there’s been lots of talk of marriage. We’re both smart about money, so an elaborate wedding seems like the biggest money sink ever!! Oh, and to be the center of attention…no thank you!! Thankfully, we’ve made our plans known to our parents and they’re supportive!! We’ve said we’re doing the small and intimate ceremony…if they want to invite additional friends/family to a backyard reception, they’re paying for the difference haha!! TRUTH!!! And if only we have these epiphanies early on in life too vs later like most of us do :( Especially myself! Money and financial stress are one of the things couples are cited as fighting about the most. I do assume that, unless they’re rich to begin with, saving a lot of money on a wedding to build a stronger financial foundation goes a long way towards avoiding conflict and having a happier marriage. When we got engaged we decided we either eloped or went for a big wedding – no cutting half our cousins or aunties from the invite list. The chance to get all the people we love together was irresistible (and both mums would be furious if we elope) so we have a wedding for over 100 people happening early next year. Priorities were plenty of good food and excellent live music – both things we’re passionate about – and they equal half the budget. All clothes so far have been more than 50% reduced. We’ve ditched fancy cars because we dob’t need them and flowers/photographs are essentials only ( why do me and our sisters need photos taken of us in matching robes?!). Feeding and entertaining over 100 people for 10 hours while celebrating and solidifing our relationship for only £11k seemed good value, up til now. £11k is under $15k, not bad! That’s way lower than the average wedding cost in both the UK and the US, and you still get a huge family gathering for 100 people. And if parents are paying £8k, that goes a long way. I have been married twice. The first time was a courthouse dealio on a Thursday in the middle of the day and we went back to work. Super uneventful and we didn’t even celebrate the occasion. I thought we’d do something over (had a medical issue that needed to be resolved), but we didn’t. Fast forward years later when I was getting remarried to an awesome man, I thought I wanted the full on wedding with guests and family and food and all the things. We tried to keep it pretty affordable but there was so much headache (like there wasn’t any family interest/excitement and flying out was a burden which I get) in the end I said screw it all, let’s elope but make it grand! So we eloped but we made it a 2 week “weddingmoon” – a wedding and honeymoon trip to the Canadian Rockies. We drove there. Wedding was at Emerald Lake in Yoho National Park. There was camping involved and some splurging on fancy hotels in between. A box in the back of the car was the “wedding box” containing the dress, suit and all the accessories to keep them clean, right next to the tent and stove LOL. We chose an elopement package that had everything included food, cake, flowers, officiant, venue, champagne, dinner, breakfasts, etc. The whole trip (wedding and vacation) was just a fraction of a full on wedding and it was an absolute blast. No regrets! Sometimes Plan B (or C, D) can be just as awesome! Really helps when the family doesn’t care either way LOL. Don’t get me wrong I love going to a decked out fancy wedding as a guest because it’s so much fun! Hey, really great post here. I am handling the photography this weekend for a friend who is having almost exactly the wedding your rules described: Small wedding ceremony in a public park (really cool setting) with a small guest list. He’s saving a ton on photography because I bill by the shooting hour and the whole thing, with posed photos, ought to take about an hour. That’s just from my perspective of course; he’s saving a ton. If I get a chance I might ask him about the ring and such, if there’s a polite way to do so. I hope more people do this because most of this wedding “tradition” is actually quite recent. The big elaborate ceremony mostly came from rich people wanting to emulate Queen Victoria’s wedding; they were much more minor affairs before then. And the ring situation is as you described. My sister recently got married and wanted a smaller ceremony but my BIL insisted on the big wedding and they spent a fortune they didn’t need to. And one of my cousins had a wedding that cost more than my yearly salary. A complete showoff of wealth, and I’m not sure it made them any happier for it. Since the diamond ring tradition is about imitating aristocracy, I’m not surprised that the conception of an extravagant wedding is basically the same. A friend of mine officially converted from Buddhism to Christianity because the groom’s family insisted on a traditional Orthodox wedding. They ended up having two separate weddings- a Chinese traditional wedding and the official big wedding at the church. I can’t imagine the final price for it all. Great article, mind blowing it cost so much. So I guess singleness is my secret FI weapon once again. The only financial issue with singleness is potentially the lack of roommate, making housing costs way higher. Otherwise it’s very inexpensive! If I were to do my single years again, I’d consider having a roommate if possible, because it would have saved thousands of dollars per year for many years, which would have compounded a lot. Being that my wife and I live in the Northeast and are second-timers, we each had already had the typical large wedding bash. But it was important to us to really celebrate our new beginning, so 12 years ago we spent about $10k without going into debt. We mainly limited the number of people (about 40), but still had all the traditional elements–the dinner, DJ, photographer, etc. It was what made us happy and we don’t regret a moment (or a dollar). Seems like the perfect balance. Small but not too small. Traditional but not extravagant, and no debt. I’m getting married in 3 weeks, and the pressure is real! We are getting a very generous gift from my parents which takes care of most of the cost, but because we thought our wedding was going to be huge, we ended up spending a few thousand of our own money to supplement the cost instead of pocketing the leftovers from having a cheaper affair. We originally talked about doing a really intimate wedding with just our immediate family on a beach somewhere with an all-inclusive trip. That would have cost a bit, but we would still have had money leftover, and we would have had a really nice beach vacation. Because we both have such huge extended families, we decided (and were somewhat pressured by our mothers) to have a larger affair instead, so everyone could be included. That doubled our budget. Now, less than half of the people we invited are coming. We invited almost 300 (mostly family! ), and only about 140 are coming. However, we’re still locked in to certain spending minimums with our vendors, so we’re at a point now where we’re having to add on unnecessary extras just to fulfill our contracts. I’m so excited for the big day and getting to share it with all the people who are coming. I know it’s going to be a beautiful event, but if I could go back and do it all over again, I’d insist on the destination wedding! Even my dear fiance has been saying he should have listened to me and gone that route. Perfect post! Today, my husband and I are celebrating our 16th wedding anniversary! We spent just over $5000 for our wedding for under 60. We did it by having a wedding at his grandmother’s house and did most of the planning ourselves and help from family. It was a beautiful day! We did have a tent just in case and that was the expensive part. For 2002, we hired a digital photographer who did an amazing job and everyone thought that was silly. We had . mp3s as our music to dance to. As a wedding gift a friend paid for our bouquets and we used them as centerpieces. It was lovely! Gifts in each of the two weddings for wedding helpers were average 15-20 per person so maybe 150 each wedding? We spent about $100 21 years ago, our anniversary was yesterday. $25 for the pastor, $50 for the cake and some fingerfood. $25 for the flowers. Eight guests at my inlaw’s home. $100 for the whole thing? Nice! We got married at the courthouse by the Justice of the Peace. The total cost of our wedding was the cost of the marriage license, $25 or so. And with gifts, we game out several hundred dollars ahead. We didn’t dress up for it and we didn’t exchange rings, which surprisingly did make it hard for people to believe we actually got married. Afterwards, we called our parents and said – hey, guess what? We’re married! (they were all happy for us, LOL) Ignoring the logistics, the thought of having a big party where I’m the center of attention is basically my version of hell so there was no way I was going to plan something like that. And now, almost 21yrs later, neither of us have any regrets. Yeah I considered doing it without mentioning it first too- just going to get married and then being like, “btw I’m married mom, lol” but eventually decided to tell her ahead of time. Loved this post. 13 years ago my husband and I spent $3000 to get married in my grandmama’s yard. The wedding party consisted of us, the preacher who is a family friend, and my nephews. I wore a shirt I’d already owned and bought a skirt to match. He wore a blue polo type shirt. We had food from a local barbeque place (first restaurant I ever went to -I was 2 months old, still eating there). My mom’s friend made our cake. My parents gave us the cake and my shoes which I still wear all the time. My brother gave us the alcohol and other drinks as a wedding gift. His friend was starting a bartending gig so he bartended for the reference. We did rent tables, chairs, and a tent. Our flowers were from Walmart’s mail order and they were beautiful daisies. We arranged them ourselves. My friend and a cousin each did photos as a gift and they are wonderful. The music was some friends who played guitar and sang. I think we tipped them $50 each. My husband gave me my grandmama’s first wedding band that my papaw gave her when they were 17. It’s a tiny gold band. I bought him a ring he can’t wear at work so he only wears it abouts once a week. The day was beautiful and a friend who was in his 80s then told us it was “the best wedding I’ve ever attended. Good food, good people and I got to wear my regular clothes.” Felt like high praise. We were just going to stay a couple of hours away for our honeymoon but my husband got sick and we spent it in the hospital where I worked. That was not a cheap event. Actually I got a call the day of the wedding asking me if I wanted to pick up the night shift. Told her I doubted it since I was getting married at 2 o’clock. On a side note we also forgot to get the marriage license signed. Fortunately it was easy to take it to our friend later. I love the part about the guy bartending for the reference, lol. Hopefully his bartending gig worked out. Love this! And so glad you didn’t go into debt for your wedding. My hubby and I have been married for 15 years, and we spent about $5,000 for a nice, yet small wedding. I have no regrets about the money we spent, and I am glad we paid cash for it. Each couple has to decide what would be meaningful to them, but starting out married life deeply in debt for wedding and honeymoon expenses is stressful on a relationship. Couldn’t agree more about wedding debt. And $5k for a nice small wedding sounds perfect too. We had an outdoor wedding for 200 guests where we spend over $15K which is low considering the number of guests we had. I’ve went to other weddings with that size of a guest list where they spend between the numbers you had on here ($25K to $35K) and it’s really crazy when you think about it on how much they would spend for their wedding. I know it’s a once of a lifetime event for many but they got set their financial expectations at a reasonable level. We did a good amount of DIY activities for our wedding which help hold down the costs and also didn’t need a videographer and relied on our guests to video our wedding which worked out because we got numerous videos from them. Also we didn’t get into debt for the wedding since we had saved a good amount for it and paid everything off right after our wedding was over. Hey I checked out your article on your expenses. Thanks for sharing! The park venue definitely saved you a ton of money! For 200 guests and only $2,250 for the ceremony and reception venue combined, that would have been 5x-10x higher in some big inside venues. The wedding industry is designed to pit completely novice event planners (brides) against blood-sucking vendors. I’ve been there – twice. I wish I could recoup the money from my first miserable wedding and marriage. But when I found the love of my life, and we wanted all of our friends and family to be there with us for our big day – I blew it OUT on my second wedding in New Orleans, and I don’t regret it. It was a blast to plan and brought us closer together, it was one of the best times of my life. I am a professional fundraiser/event planner, and am astute in vendor management, but yes, I still got ripped off and mislead on several items. But no, I don’t regret it – we’ve got the memories, photos, and keepsakes that will last a lifetime. RINGS: $150 for both wedding bands, engagements (we had a few…) $20 engagement ring in candy box, $69 engagement ring that fitted my finger from a Sears New Year’s sale, free heirloom engagement ring from my husband’s family that I didn’t need to change in anyway). I love my tungsten/Kona wood band and rarely wear my gold princess cut diamond ring, but it was his godmother’s so I am very happy to wear it on special occasions. For daily use, I’m a firm believer in partnership and a band feels partner-y, and less likely to get caught on stuff. PHOTOS: $750 for the most gorgeous photos ever. Granted my Church ($500) is a very photogenic place. DANCE LESSONS: $500 bucks, also fabulous. I was going to skip both those, but my husband paid, and I’m so glad he did. He put the requests on Thumbtack, found some awesome people. With 110 degree heat and fires on the hillside all the Spotify-DJ’d dancing was scrapped as we huddled in the rec center, so I’m really glad we had our epic dance. INVITATIONS: My grandma’s 1940s typewriter for the 8 1/2″ by 11″ template (no extra postage!) photocopied onto fancy resume paper. $64 but I liked them. FOOD/DRINK: $780 but should have added a couple more $50 trays. Breakfast for Dinner was nice and cheap. TENTS FOR SHADE/WATER/SUNDRIES: $900 maybe? Used a Film Equipment Co. right by the venue. FAVORS: My Baby. $200. Everyone got a used book, found by us, note inside, $75 awesome wrapping paper. Average book was 50 cents, but there were some true gems we spend $2-$5 on. FLORAL: We put flowers in vases the day before and I bought some wholesale tape/thorn scrapers ($35?). Like 1.5 hours work. $340. Oh yeah, dress — $169, first one I tried on – it’s Grecian looking so can be reused for Halloween, other events? Etsy veil $30. It’s more than I wanted to spend, but the auditorium with my church is actually the school’s, so we had to find another spot for the reception. We had a bigger guest list — 320, and we could have gotten them all in, which is what I was going for. Everyone I love, getting to be there. We were pretty simple, but genuine. The benefits will last a lifetime, for anytime there’s a dancing event. I paid about $3k for my wedding…$1500 for a package (which included my venue, flowers, 1hr of photography, and my officiant), $250 for a cake and welcome cupcakes, $350 for my custom cake topper, $300 total for a (used) wedding dress and shoes and alterations, $500 for hair and makeup for all females attending the wedding, and about $30 for invites. We invited 17 people and 13 showed up (and 4 of them were children!). We didn’t bother with an engagement ring and just got some simple bands. No reception, but we did go out to dinner as a group (which my dad treated everyone to, as my parents’ contribution to our wedding). Btw – 1 hour of photography got us 250 pictures. And my cheeks started to hurt. I was SO DONE by the time that hour was up! I absolutely love the tips and especially the data in this post. The amount people spend on weddings is outrageous! When my husband and I got engaged, we knew we’d be paying for it ourselves. So one big thing we did to keep the cost super low – we questioned everything! All those “traditional” things people say you have to do at a wedding – we just nixed it! If it wasn’t important to US, we didn’t do it. So while we had a rather large guest list (over 300) – we spend less than $5k on our wedding by simply saying ‘no’ to the traditional wedding costs. Yeah that’s the main thing- just question things. It’s not about telling people what to spend on or how much to spend. Rather, it’s about saying not to do it on autopilot, not to do things a traditional way purely for traditions (especially since traditions were highly influenced by marketing), and not to do things just because you feel pressured or because it seems normal to do. $5k for 300 people is amazing. I was originally planning to get married in April of 2019, and while we were looking for venues I realized I wasn’t really excited about any of the places we had seen. We have a large family and weddings are always a huge ordeal, but I didn’t feel like having a big wedding really matched my fiance and I.
I threw out the idea of getting married in the Smoky Mountains (we already had a vacation planned for Christmas time) and just have a small gathering of our family there. Luckily, my parents actually really liked the idea! The wedding in all will be about $2000 counting the dress and the dinner afterwards (no rehearsal dinner!). We will be having a wedding celebration get together when we get back for our large family gathering, which will be much less expensive than a wedding reception. Turned out perfect for us! I agree with you, it’s an incredibly personal thing. I personally think it’s a little excessive but it means a lot to some people. Yeah that’s the main thing, pressure. Imo people should do what makes them happy, but not do things simply because it’s common to do it, or because they feel they have to. 8 years ago – I had a 30K+ wedding (not including the honeymoon) and a 6K dress. We paid for 1/3, and our respective families each paid for the other 1/3’s. I think the best advice I got was from my mother who said – “just get what you want”. Why overthink it and try to save on every detail for this one day? I’m more of a live the majority of your life very carefully and with discipline (diet, spending, exercise, whatever) and then splash out for special occasions. My wedding was my particular version of beautiful, and it saved me a lot of stress not having to make the most frugal decision possible. I should add that the wedding happened the same year I crushed my 30K in student loan debt (all in one year) while I worked part time and my husband was a grad student. If you prioritize and have a laser focus, you can do amazing things! Good for you for knowing what you want! And for slashing so much debt away too – that’s not easy! Paying 1/3rd of a $36k+ wedding/dress combo isn’t so bad, that’s only about $12k. That certainly didn’t set you back much, and since you loved it, that’s what matters. I agree with you about living with discipline and then splashing for special occasions. For me, my splashes are mainly travel. I occasionally drop a few grand on an international trip for 2-4 weeks, for example, because it makes for a huge and memorable time. For many cultures wedding is as much for the parents pride as it is for the children. Intangibles aside, it can definitely add up. Thankfully, I’m on the no spend boat as a regular peon. That isn’t possible for a lot of people especially if the father is high up and well to do in society. For most regular folks tho I’m sure they overspend, and will admit to feeling guilty and over spending, but they’d probably make the same decisions if they could do it again (for the first time).